Boardwalk Dental Care is proud to announce that Dr. Danielle Culp has joined the practice on a full-time basis. Danielle is a native of Brockville and attended Commonwealth Public School and Grenville Christian College. She completed her Honours Bachelor of Science degree at McGill University in Montreal. 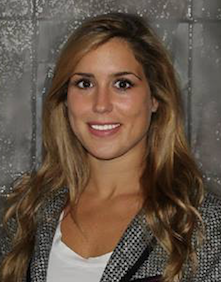 Dr. Cup is a graduate of the Doctor of Dental Medicine program, class of 2012, at Boston University. As a Brokvillian, Dani was very active in many local sports groups including the Brockville Figure Skating Club and the Brockville Yacht Club where she spent every summer as a sailing student and instructor. In her spare time, Danielle loves all sports and spends much of her time traveling. She is renovating her new home and looks forward to spending time on the beautiful St. lawrence River. We are all very happy to have a new generation of dentists working with us at Boardwalk Dental Care.